I am guilty of being the mom that likes to do special things on random holidays. We don’t do anything super crazy but it’s fun to do special things for the kids that really get them excited. Plus in an effort to not spoil them every day of their lives like I often want to do, this gives me an excuse for those extra surprises and treats. This year we had a candlelight dinner with the kids. We had a yummy pasta meal and Lucy even made us all name tags. 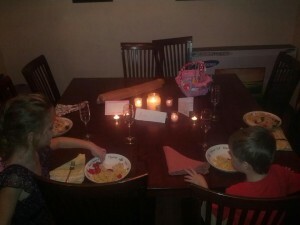 I let the kids drink from flutes and I gave them each a little valentine present. And since we don’t always eat in the dining room, that was fun too. Then came St. Patrick’s Day and the Leprechauns found us down the Cape. It’s the one time a year the kids get Lucky Charms as a treat. I love that Jack had been talking about them visiting for weeks. 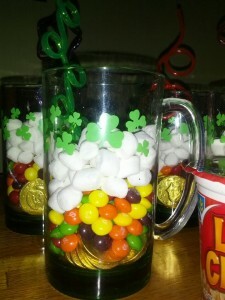 The toilet water ends up green the next morning and usually gold coins and a rainbow of skittles are enjoyed for days to come. And mixed into the last month has been some serious snow. 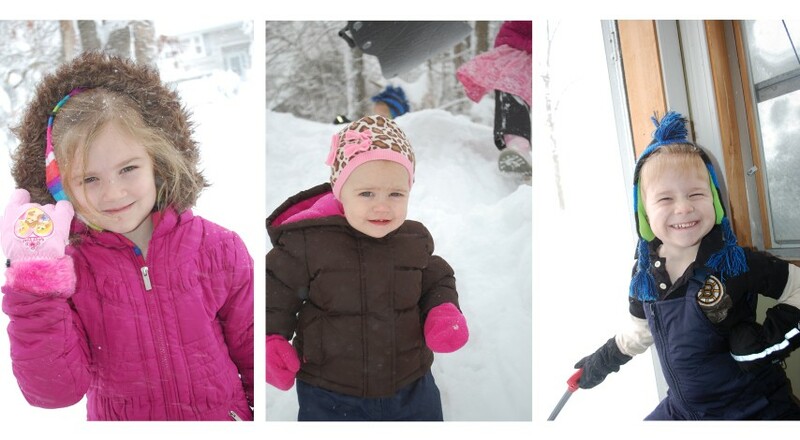 We even had an official blizzard, Nemo. We made the most of it with lots of comfort food. 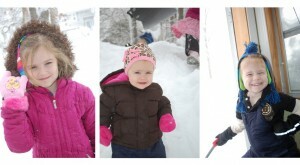 We fared well and never lost power. It was quite an crazy night of snow though. We are now more than ready for spring though. Twelve years ago I met this sweet talkative little girl when I started to date her Uncle. I’ve seen her truly relish in being an individual who strives to be kind and supportive of others always. We love to see her spend time with her cousins and those rare times we get to chat and catch up with her all treasured minutes. Brittany turned 16 last month and it hardly seems possible. It makes me feel so old. 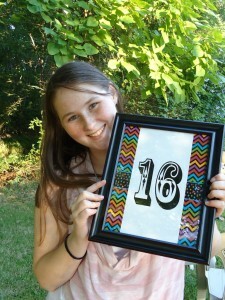 It was super fun to help make some things for her Candy Sweet 16 theme. Here are just a few pictures of the lollipop centerpieces I made and the framed art to go with her invitations. Can’t even imagine celebrating my own little ones teenage years. Spring is here and I think Emme gets cuter by the day but of course she is mine and I can say that. She looks just like her big sister did at this age. We are crazy as ever but I need to get more photos up here to share. There are lots of birthdays and weddings ahead. Just last month we showered Katie and then last week we showered Jodi. Both were wonderful days with the lovely ladies in my family. 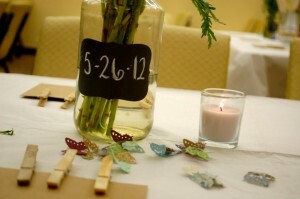 I really enjoyed putting together the details of Jodi’s bridal shower. You all know how much I love to party plan! It all came together so nicely. 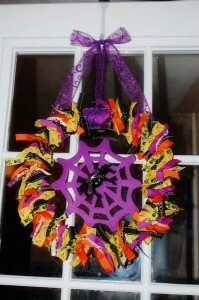 I wanted to make a special Halloween wreath for our door this year. 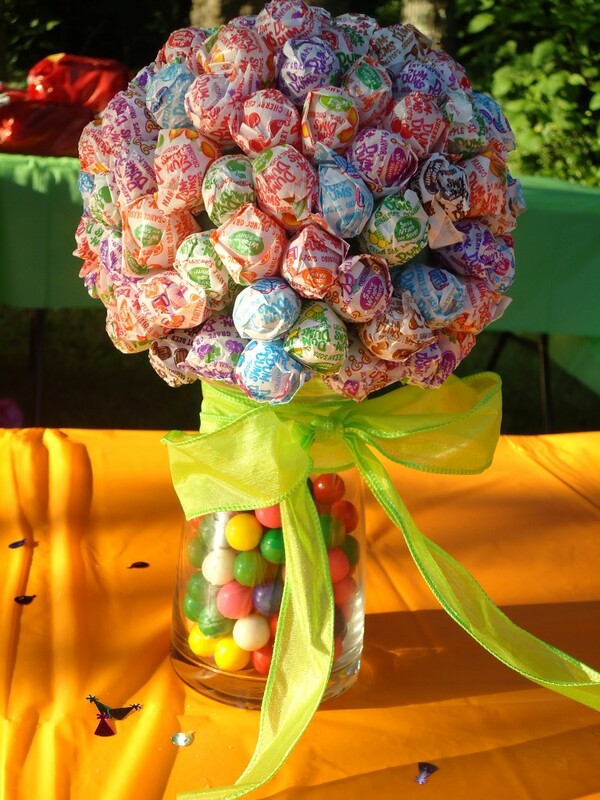 Even though we are not home to give out candy, we can enjoy it for a few weeks as we come and go. I wasn’t sure of exactly what I would do but I wanted it to involve ribbon. So with 10 spools of ribbon, a plain foam wreath, a purple web and fuzzy spider, I created this with lots of tying, fishing wire and a little hot glue. I am happy with the results. 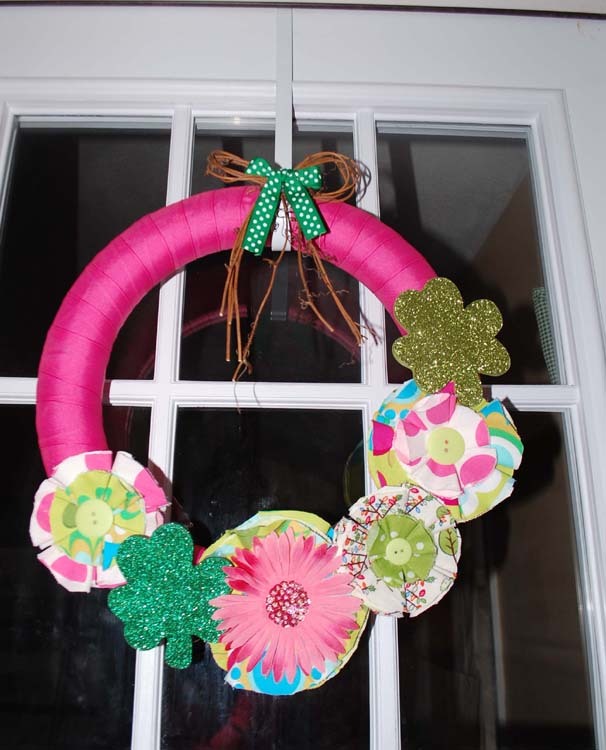 There is tons of inspiration over at the Craft-O-Maniac blog. Her header is fantastic. A look back at last year, I made a few things with Lucy. I am sure we will make a few more things to add to our collection.